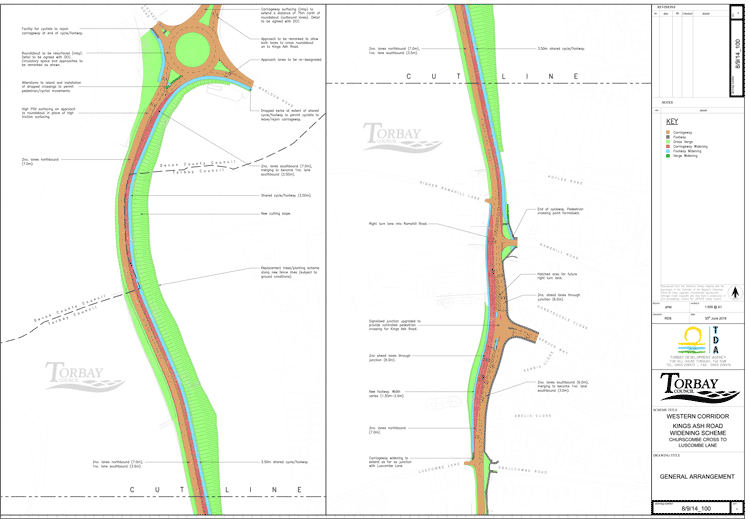 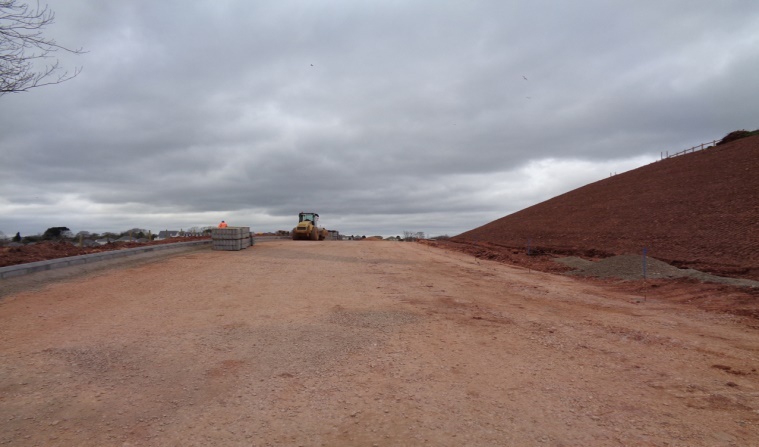 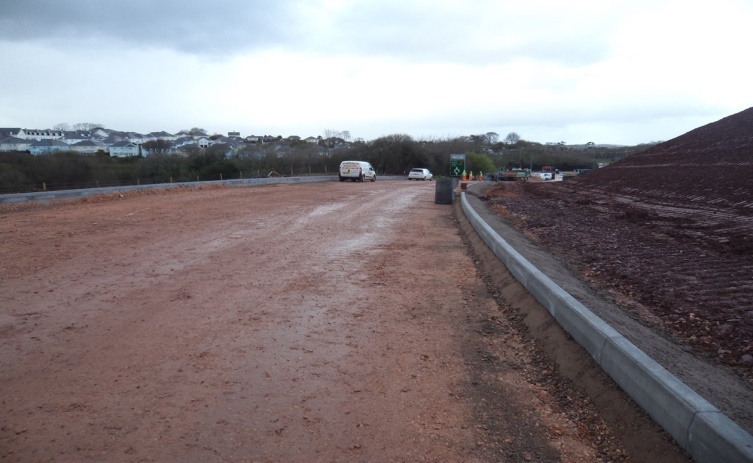 Scheme details: Major highways widening scheme on Kings Ash Road, Paignton between Churscombe Cross Roundabout and Luscombe Lane. 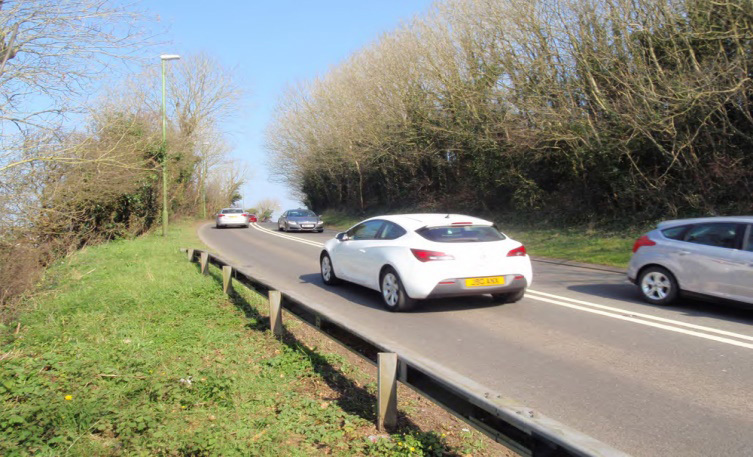 This scheme will increase the capacity of A380 between the Churscombe Cross junction and Luscombe Lane, which will allow future growth in the area around Great Parks and widen the Road to create additional lanes and provide a shared footway and cycleway. 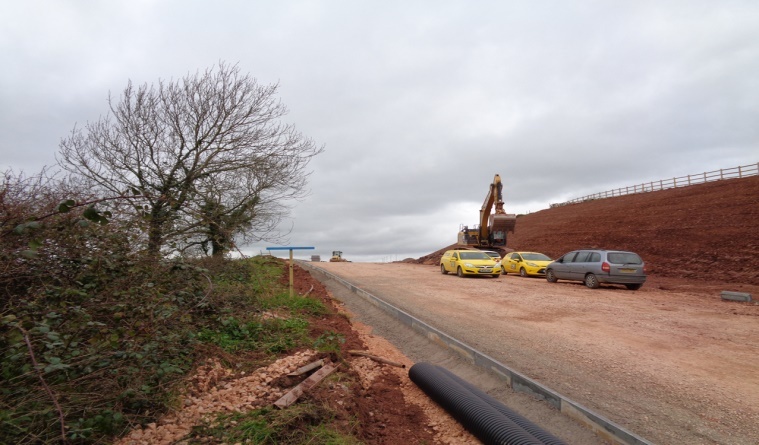 Works include huge muck shift, installation of a new drainage system, new road construction and footpath/cycleway installation.